Follow us to the Jim Corbett National Park-named after the hunter and naturalist Jim Corbett who played a key role in its establishment as tiger reserve. Arrival at Delhi, met by our representative and transfer to Jim CorbettNational Park (300 kms/7 hours). Jim Corbett National Park-named after the hunter and naturalist Jim Corbett who played a key role in its establishment-is the oldest national park in India. The park was established in 1936 as Hailey National Park. 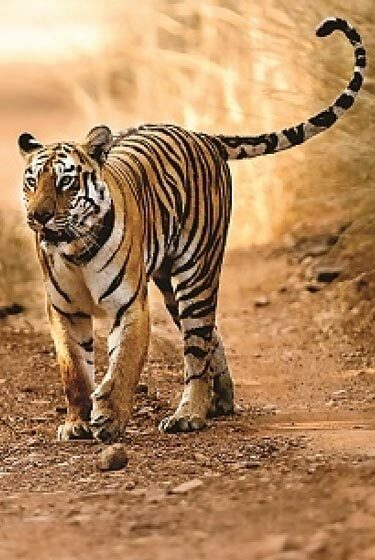 Situated in Nainital district of Uttarakhand, the park acts as a protected area for the critically endangered Bengal tiger of India, the secure survival of which is the main objective of Project Tiger, an Indian wildlife protection initiative. Dinner and overnight stay at resort. In the morning go for a safari inside the national park, in the afternoon transfer to Nainital(60 kms/2 hours), Nainital is a town in the Indian state of Uttarakhand and headquarters of Nainital district in the Kumaon foothills of the outer Himalayas. 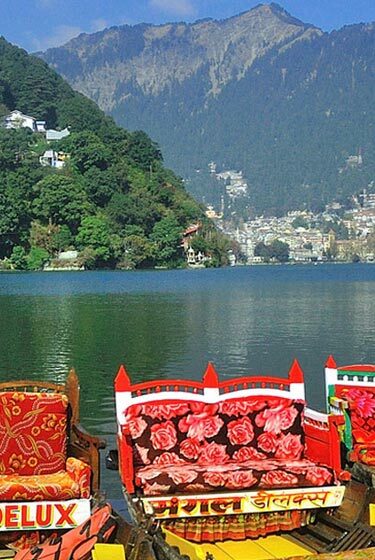 Situated at an altitude of 1,938 metres (6,358 feet) above sea level, Nainital is set in a valley containing a pear-shaped lake, approximately two miles in circumference, and surrounded by mountains, of which the highest are Naina (2,615 m (8,579 ft)) on the north, Deopatha (2,438 m (7,999 ft)) on the west, and Ayarpatha (2,278 m (7,474 ft) on the south, evening free for leisure. Dinner and overnight stay at Hotel. 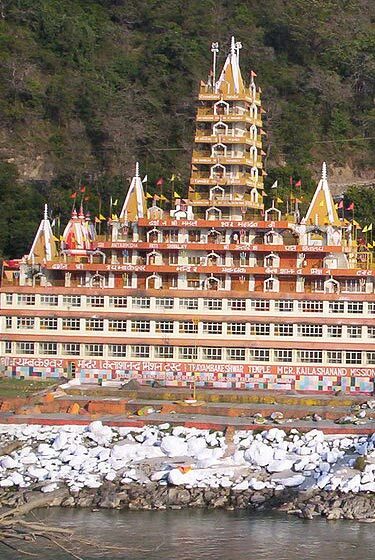 After breakfast, go out for local sightseeing including Naukuchiatal, Sataal and Bhimtal. After breakfast proceed for Kausani enroute Ranikhet visiting Chaubatia, Kalika and Upat in Ranikhet. Kausani is the place situated in the Bageshwar district of the Uttarakhand state of India. Kausani is the Himalayan tourist destination, which is 117 kms from Nainital; the altitude of this place is about 1890 meters. This place Offers an excellent 350 km view of the Himalayan peaks like Trisul, Nanda Devi and Panchchuli. There are very few places in the Himalayas, which can compare with the beauty of Kausani - A picturesque hill station famous for its scenic splendor and its spectacular 300 km-wide panoramic view of the Himalayas. Kausani lies on the atop the ridge amidst dense Pine trees overlooking Someshwar valley on one side and Garur and Baijnath Katyuri valley on the other on Almora-Bageshwar-Didihat Highway. Mahatma Gandhi called this place the 'Switzerland of India', due to similarity in landscape. Dinner and overnight stay at Kausani. After breakfast, proceed to Almora, which is a cantonment town in Almora district in the state of Uttarakhand, India, founded in 1568. Almora is located at an altitude of 1638 meters (5,500 feet), on a ridge at the southern edge of the Kumaon Hills of the Himalaya range. In the shape of a horse saddle shaped hillock it is surrounded by thick forests of pine and fur trees, flowing alongside the city are rivers of Koshi (Kaushiki) and Suyal (salmale) and to top it all are the snow capped Himalayas in the background. It is a town bustling with activity, and has a rich cultural heritage and history. It is considered the cultural heart of the Kumaon region of Uttarakhand. Dinner and overnight stay at Almora. After breakfast, departure for Mukteshwar(55 kms/90 minutes).After arrival check in at the hotel and later on in the day we take you to local sightseeing to some of the most beautiful spots in Mukteshwar including Methodist Church, Chauthi jaali and Mukteshwar temple. Dinner and overnight stay at hotel in Mukteshwar. 05Nights accommodation on twin sharing at the hotels mentioned above or similar. Daily Breakfast at respective Hotels / Resort included in above cost. All sightseeing as per itinerary – by Non-AC Indica/Alto & Non-AC Innova/Tavera/ Xylo (Including: Toll, Parking, All state taxes, Driver allowances and fuel). Expense of personal nature like tipping, laundry, and telephone/fax calls, alcoholic beverages, camera/video camera fee at monuments, medical expenses, any Insurance etc. Supplement cost of Entrances & Airfare, as quoted separately.